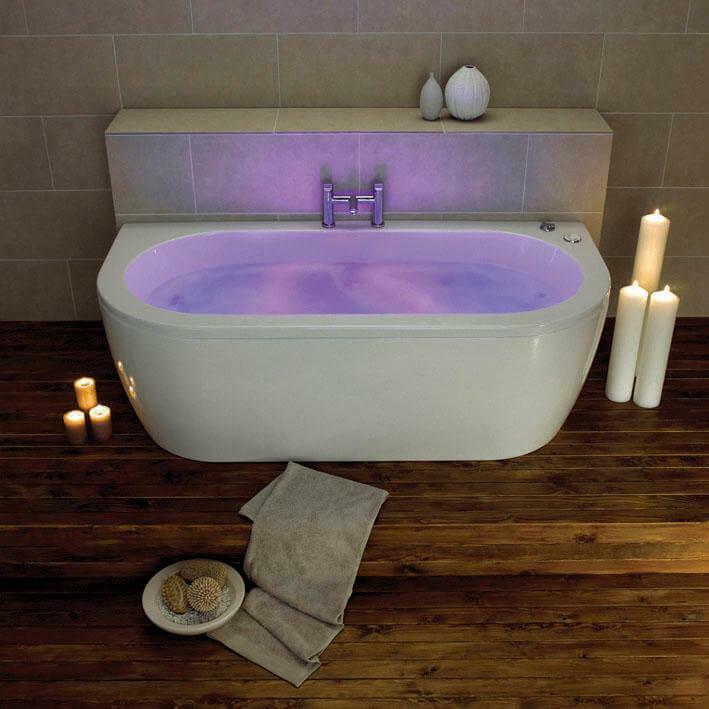 This Decadence double ended whirlpool bath is fitted with a luxurious 24 jet whirlpool spa combination system and chromotherapy lighting for the ultimate soak. Upgrade to SuperCast Shell Finish? Q: I was wondering where the pump and pipe work is housed. Please can you send me installation instructions or advise me on this please. The pump is located either on the left or right of the bath as you look at from the front' It sits behind the panel. Please ring 01489797130 if you need any help. Q: Do you have to drill your own holes to fix filler taps? Hi, normally your installer would drill these, this is very common. Q: Does the bath come with the lights? Yes it is fitted with Chromotherapy light.